Talents exist all over the world, however, opportunities do not. The global film industry has often been dominated by Westerners, creating the perception of a lack of talented actors and actresses on the African continent. However, a few African actors over the years were able to dispel this belief, starting with Omar Sharif, the legendary Egyptian actor who starred in iconic films like Lawrence of Arabia, Doctor Zhivago, and Funny Girl. The road he has paved in Hollywood has been threaded by modern-day African stars like Lupita Nyong’o, who has an Oscar to her name for Best Supporting Actress. Who is this iconic Egyptian actor? Learn more about Omar Sharif below. When he was a young man, he had dashing looks that brought a number of women and men to their knees. At the height of his career, Omar Sharif was one of the leading actors on the planet. Through his superior acting abilities, the son of a woods merchant had Hollywood eating in the palm of his hands. 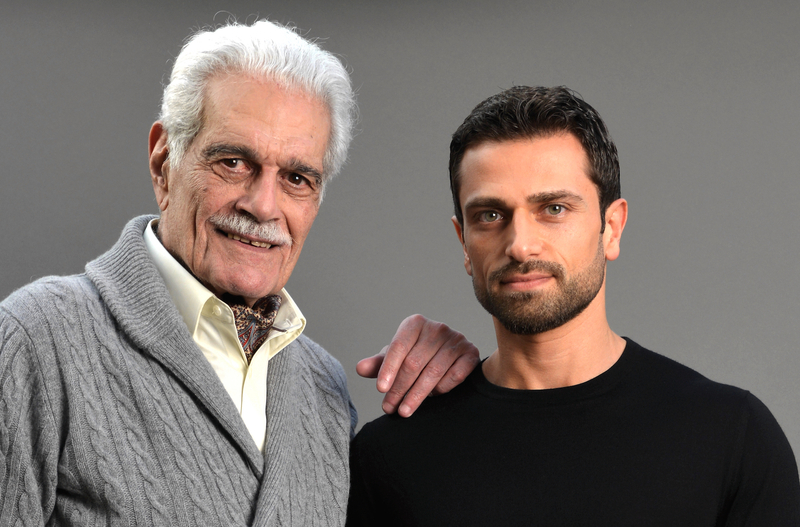 Omar Sharif was born in Alexandria in the then kingdom of Egypt on the 10th of April, 1932 to a well-to-do family. His father was a wealthy woods merchant while his mother was a notable society hostess at the time. During his youth days, Omar Sharif spent it inundating himself with knowledge, particularly languages, where he learned French, Spanish, Greek, Italian, and Arabic. He studied at the notable Victoria College in Alexandria, before later studying at the prestigious Cairo University, graduating with a degree in mathematics and physics. A life working as a corporate businessman in his father’s woods business was an initial point of interest for Omar until he was swept up by a passion for acting and abandoning the certainty of a tradesman to a life of uncertainty of an acting career. Until 1955, Omar Sharif was known by everyone as Michel Dimitri Chalhoub. Out of his desire to marry a fellow actress, Faten Hamama, Michel changed his name to the one that would set English and American film productions alight, Omar Sharif. Before he began taking on English and American productions, Omar Sharif began his acting career in Egypt, featuring in several local productions starting from 1954 when he made his debut in the film, The Blazing Sun. In the first year of his debut, He starred in a total of three films, starring in Devil of the Desert (Shaytan Al-Sahra) and Struggle in the Valley (Sira ‘Fi al-Wadi) along with The Blazing Sun. His appearances in those films proved to be the catalyst his budding acting career needed. He quickly became a popular name in the Egyptian film industry, and he went on to further star in several films, including lead roles in romantic films alongside his wife, Faten Hamama. His international breakthrough came through Lawrence of Arabia. Having missed out on several other actors with bigger names outside the Egyptian film industry, David Lean, the director of the iconic film decided to cast Omar Sharif as Sherif Ali. The role would be his first role outside of Egyptian production and his first English production. Despite the initial skepticism about the casting choice, his performance would go on to achieve global praise, earning him an Oscar nomination, and two Golden Globe awards. The success of his first English outing paved the way for him to star in several other international productions, effectively becoming an international actor. His other notable films include The Fall of the Roman Empire, Behold a Pale Horse, Doctor Zhivago, and many more. Outside of acting, he was a notable bridge player. He represented the United Arab Republic in 1964 in the World Bridge Olympiad and the Egyptian team in 1968. Before Omar Sharif was Omar Sharif, he met his only wife, Faten Hamama, an Egyptian actress. The couple met on the set of the film, Struggle in the Valley in 1954. After meeting on the set of the film, the duo fell in love with each other and due to strict beliefs of Faten Hamama, Omar converted to Islam in order to marry her. Their marriage ended officially in divorce in 1974, after separating in 1966. Before their relationship died a permanent death, they had a son together named Tarek Sharif, who was born in 1957. Omar Sharif through gambling and carousing lost out on an airtight career with a great financial legacy. Despite starring in commercially successful films like Lawrence of Arabia and Doctor Zhivago, he died with a lowly net worth of $2 million. His contract with Columbia for Lawrence of Arabia paid him $50,000 for seven films, which, when adjusted for inflation is worth over $400,000 per film. Death – How Did Omar Sharif Die? Towards the end of his life, Omar suffered from a couple of health problems. He suffered a heart attack in 1994 which was treated a triple heart bypass surgery. Before the surgery, Omar smoked 100 cigarettes a day. In 2015, it was announced that he suffered from Alzheimer’s disease and he died on the 10th of July, 2015 at the age of 83. He died six months after his wife, Faten died and was buried in the city of Cairo.